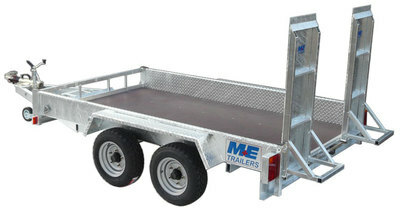 The MEP35106 Tandem Axle 10’ x 6’ Plant trailers are built to last, with a heavy duty drawbar arrangement incorporating a bucket rest, with a Cast Towing Coupling (40mm Eye or a Locking 50mm Ball Coupling as required). The durability of our heavy duty, low maintenance rubber torsion axles has been proven over many years in the Construction Plant industry. 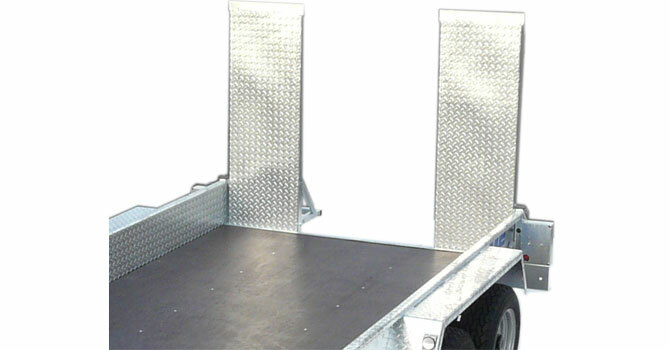 The excellent ride characteristics cope with operation in both laden and unladen conditions. 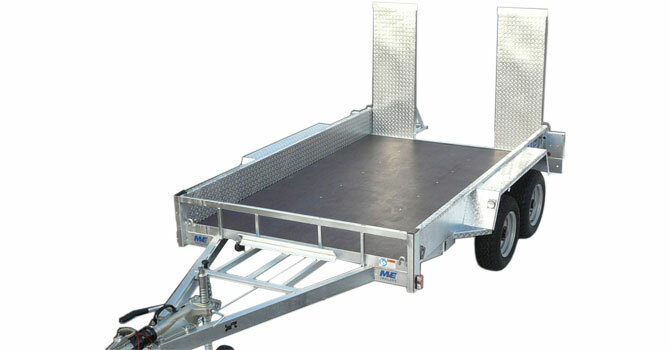 The MEP35106 Trailer is Hot Dip Galvanised with a fully welded 3mm section chequer plate body and heavy duty twin loading ramps, or a full width mesh ramp with twin gas assist (MEP35106FWR). The Floor of the trailer is made from 18mm high density plywood with a tough, slip resistant waterproof resin coating on both sides. 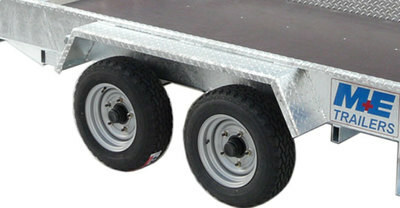 Width: External 2400mm 7' 10"